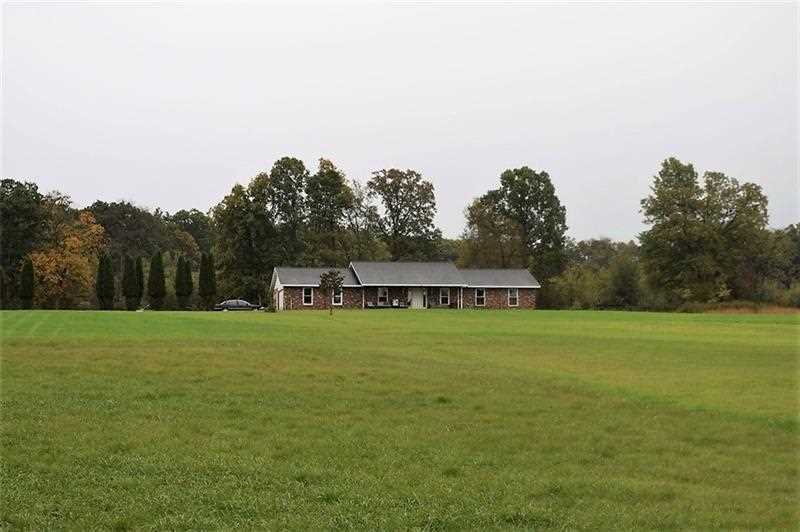 Endless Possibilities w/this 3 Bedroom 3 full bath ranch on over 25 acres w/ a 50x100â€™ machine shop. The home is situated far off the road with a private driveway lined with arborvitae trees.Panoramic views from the covered front & back porch, formal dining room, family room, open kitchen with tons of seating that opens into the living room.Ceramic tile floor with Radiant floor heating throughout. Master bedroom has its own full bath & French doors that lead to the back yard, 2 additional bedrooms w/ full guest bath. Laundry Room off the kitchen and garage with full bath. Oversized integral garage to house. 3 phase 400 Amp electric, 14x14â€™ overhead door, Full bathroom, reception area, and loft office/apartment above. Perfect building for running your own business, storage for cars and equipment, farm outbuilding, or the ultimate garage youâ€™ve always wanted. Minutes from Sandycreek elementary and Franklin Area High School. Directions: From I 79 take I 80 east to Barkeyville/Franklin Exit Rt. 8 North towards Franklin. Rt. 8 becomes Pittsburgh Rd, right turn at Pone Lane, right turn at Congress Hill Rd. House on left hand side. I was searching for a Property and found this listing (MLS #1365765). I would like to schedule a showing for 541 Congress Hill Rd. Franklin, PA 16323. Thank you! I was searching for a Property and found this listing (MLS #1365765). Please send me more information regarding 541 Congress Hill Rd. Franklin, PA 16323. Thank you! MLS # 1365765: This property at 541 Congress Hill Rd., Franklin, PA 16323 is located in the subdivision and is listed for $299,999. MLS # 1365765 has been on the market for 184 days.